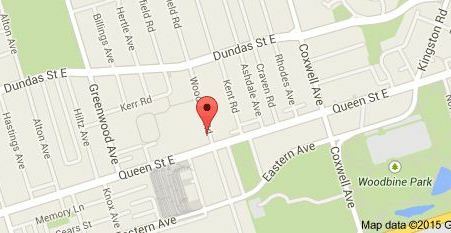 Beat the February Blues with Applegrove’s Yoga-Thon at 60 Woodfield Road (Google Map)! On February 7 (1 – 3:30 pm) stretch and pace yourself through up to 108 “Salute to the Sun” sequences, led by professional yoga instructors and accompanied by live music. The Sun Salutation is a series of flowing postures coordinated with the breath to help build strength and flexibility. The suggested fee is $20 – or pay-what-you-can – or pledges. Bring your own yoga mat if you have one. Childcare is available (if registered by February 2) for $5 per child. Proceeds will support Applegrove services such as early learning activities for children up to age 6, family support programs for parents or caregivers and their children, pre- and post-natal nutrition/information/support and therapeutic play with a group for parents. See more about the Yoga-Thon on Applegrove’s website. This entry was posted in Applegrove Community Complex, Event on January 20, 2015 by The Ashbridge's neighbourhood.